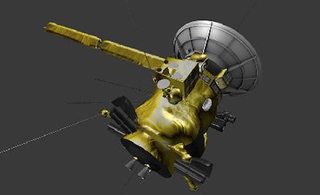 Would you like to create a perfect replica of the Cassini spacecraft? The Itokawa asteroid? The Gale Crater on Mars? The near and far sides of the lunar surface? If you are among the growing number of 3D printer enthusiasts, you can now download these and other models for free from NASA. To make the printing process easier, NASA has even cut some of the rounded objects in half, to aid in their printing, without the need for support material. While these are intended for 3D printing, NASA admits that some of them may need to be modified prior to sending them off to your 3D printer. A few of them may also be virtually impossible to 3D print…unless you had a very accurate, high quality 3D printer… Hopefully NASA will get their designers to modify these objects to make them compatible with most 3D printers.